Before photo. 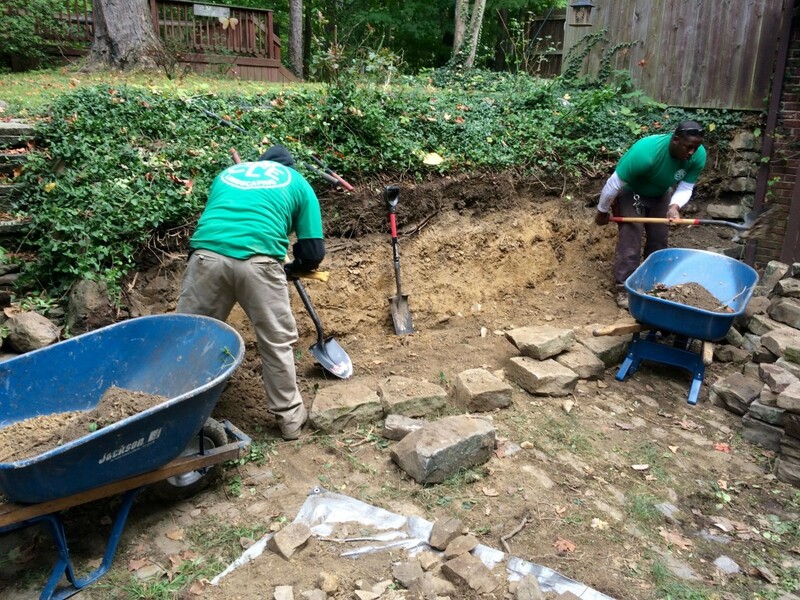 Retaining wall stones falling apart. 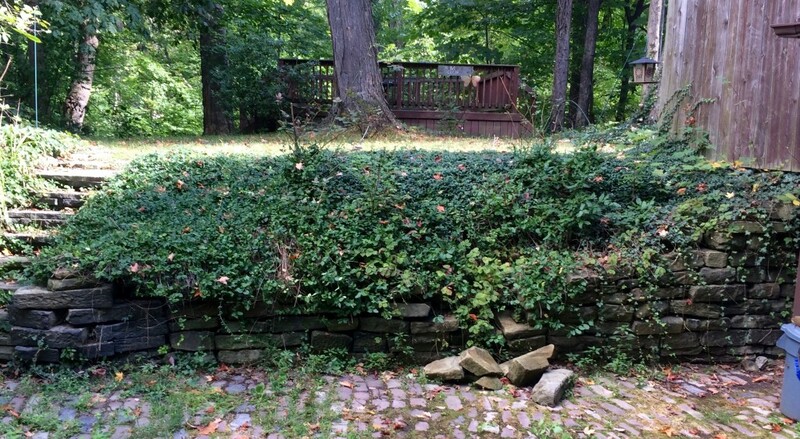 Ivy and unwanted vegetation removed. 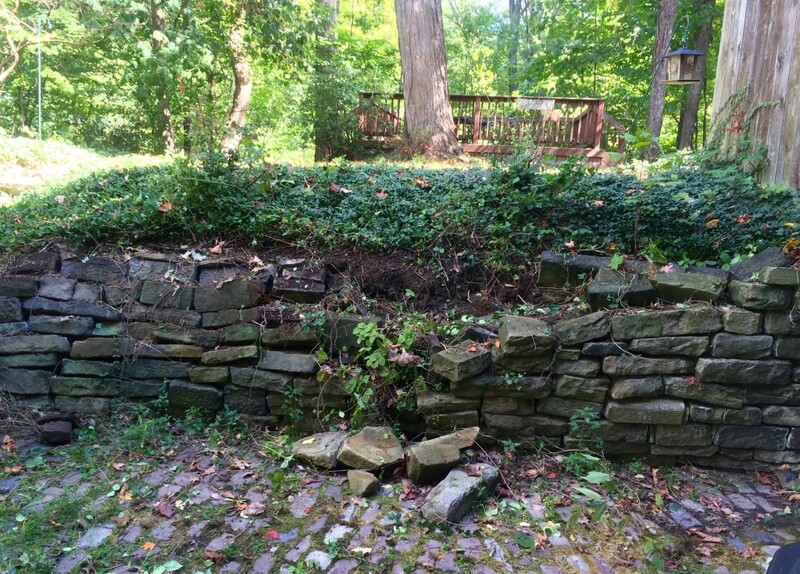 Retaining wall stones falling apart. Existing wall disassembled. Base leveled. 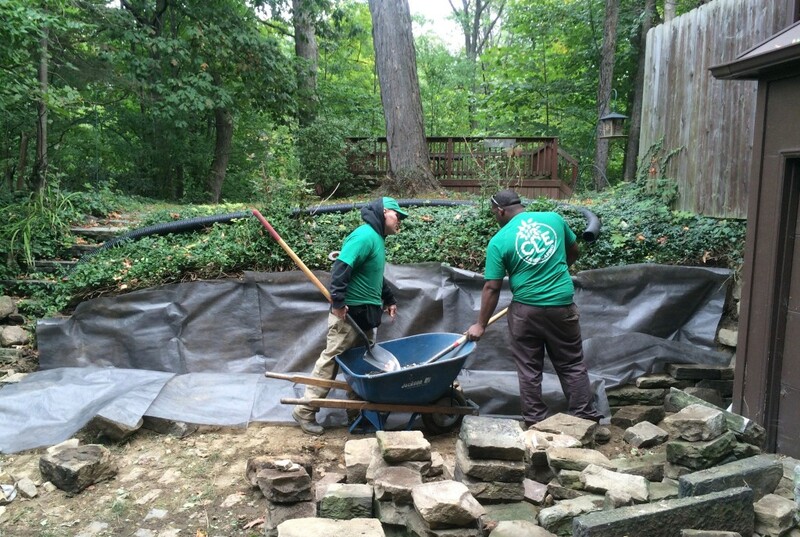 Retaining wall fabric and drain tile installed. Drain tile installed. 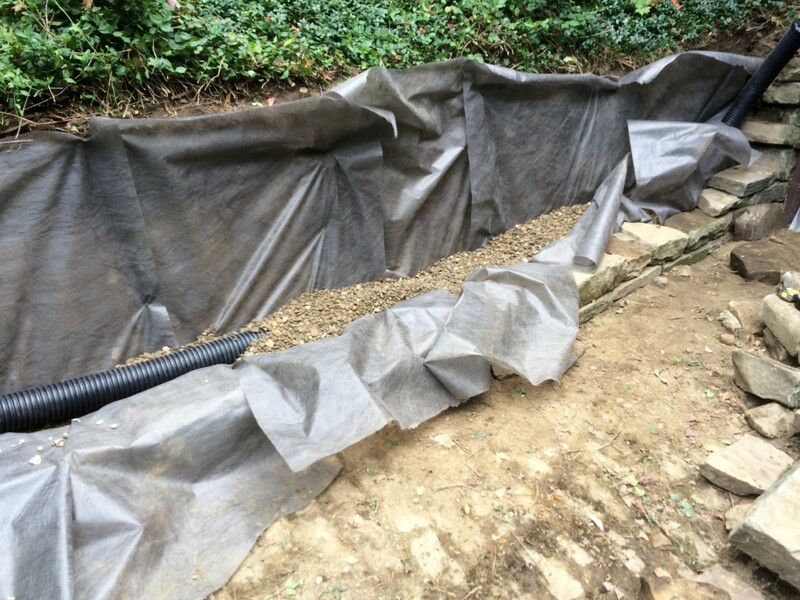 Backfilled with washed gravel. 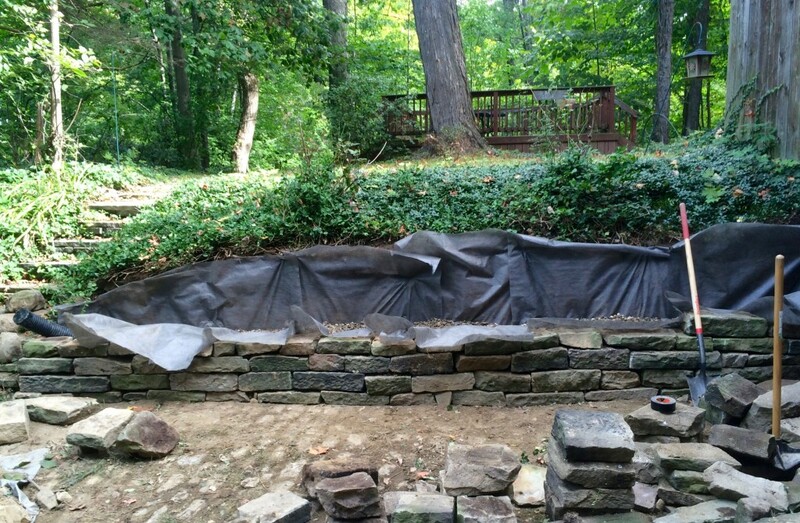 Flagstone retaining wall rebuild progress. 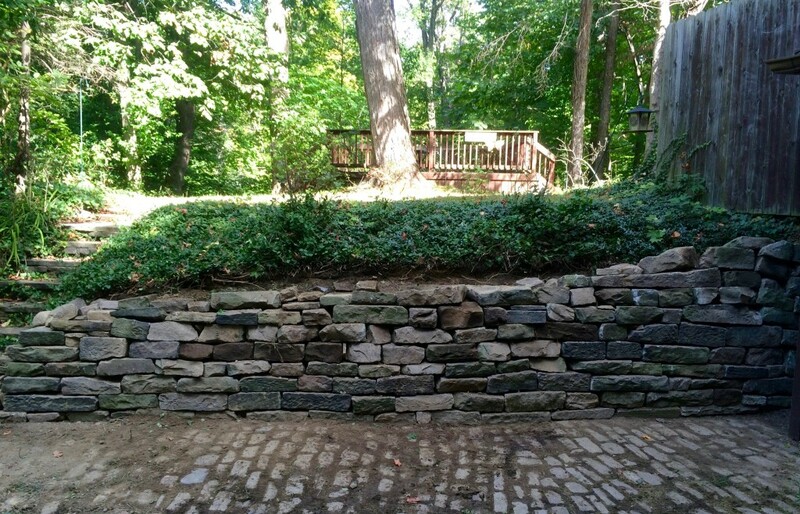 Flagstone retaining wall rebuild complete.